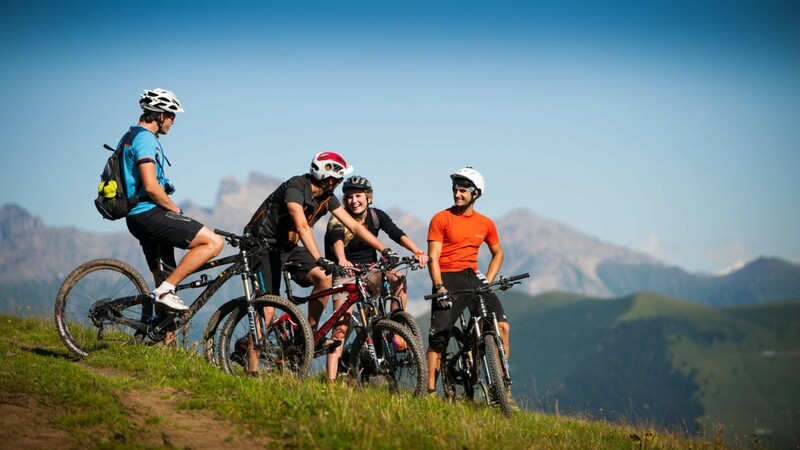 The Portes du Soleil has been one of the top destinations for mountain biking holidays for many years now. The area was put on the MTB map when the World Championships were held in Les Gets in 2004. Morzine and Les Gets quickly became THE destination for British mountain bikers, as well as the French. Riders flocked here to take advantage of the huge lift system and the network of downhill trails. Every year more trails are added, all graded in the same way as ski runs, from green through to black. A free map helps you find your way around. Lifts take you get up the mountain, leaving you fresh to enjoy the descent. 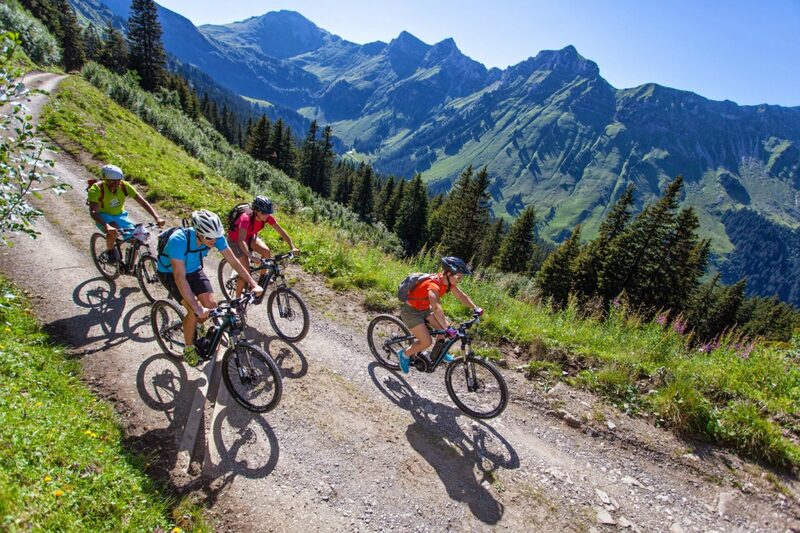 Experienced mountain bikers can explore far afield, with great descents towards Chatel and fantastic ridgeline rides into Switzerland. If you’re newer to the sport guides/instructors can help with technique. Make sure you start with the easier trails and build up gradually, riding in a bike park in the mountains is very different to your local woods. Les Gets has some lovely green graded DH trails to get your first taste of downhill mountain biking. Unless you already have a good mountain bike we recommend hiring from one of the local shops. Riding in the mountains takes a toll on bikes and body, so you’ll want a good bike with suspension and disc brakes. Recent years have seen a massive increase in Electric Mountain Bikes. These bikes, equipped with a motor, assist your pedaling power helping you go further and faster with ease. Many shops rent them out and there is now an extensive network of eBike trails, a specific map, and thanks to a partnership with Bosch, recharge points dotted around so you can ensure you have enough power to get home. These electric mountain biking routes are mostly on easier trails designed for less technically confident riders wanting to explore the area. In 2017 there were over 300 km of signed ebike trails in the Portes du Soleil, and more are planned for 2018. 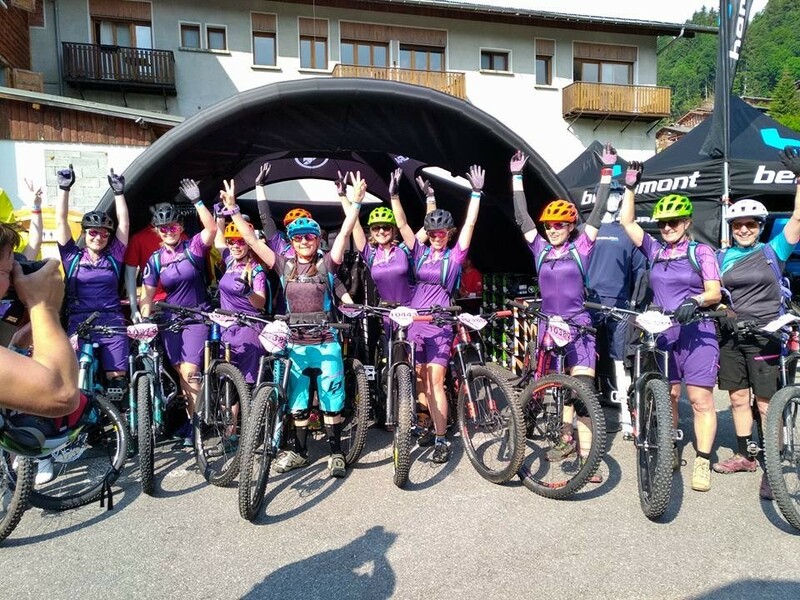 The don’t miss date for mountain bikers is the Pass’Portes du Soleil MTB (29th June-1st July 2018) which opens the summer riding season each year. A ride of about 80km through France and Switzerland, with 15 lifts to lighten the load, it’s as much as about the views and atmosphere as the riding. It’s popular so register early! And forget all your preconceptions of race feed stations with just some brown banana, dried apricots, and energy drink. There are 8 different food stops along the route, where you’ll find the likes of hog roast, BBQs, tartiflette and chocolate fondue… mmm. Contact us to find the best chalets for mountain bikers.